While organizing photos to transfer to a new computer, I came across a gorgeous custom jewelry set that I completely forgot to post and share. 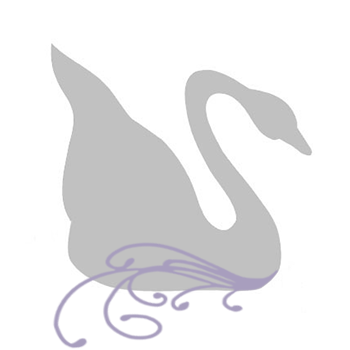 So many designs -so little time! A returning customer, who was happy with his last custom musical necklaces jewelry order, requested a custom crystal necklace design to give to his granddaughter for her birthday. We all met to talk about design specifics and what crystal colors she (Elise) might like. Elise decided she wanted both blue and purple crystals in her birthday crystal necklace design and since Prom was quickly approaching...she asked grandpa for matching earrings. That way she could also wear the jewelry set for her upcoming Prom! I presented Elise with three Swarovski Crystal color options to choose from. 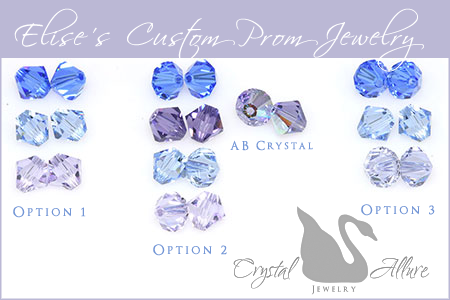 Shown above: Option #1 included sapphire, light sapphire and violet crystals. Option #2 included those same crystals, as well as, tanzanite and tanzanite AB. The final, Option #3, kept the blue crystals but switched out the violet for provence lavender. Elise choose Option #2 and the ombre' effect couldn't have turned out more beautiful! 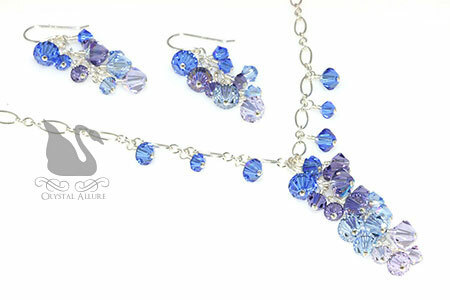 This gorgeous sparkling crystal jewelry set was designed in a various sizes of sapphire, tanzanite, tanzanite AB, light sapphire and violet Swarovski Crystals daintily dripping from an elegant sterling silver chain. The necklace is adjustable 17" to 18-1/4" and has a 1-3/4" center crystal drop. The sterling silver ear wire earrings are 1-1/4" from the bottom of the ear wire. To order a similar set, customized with your crystal choice colors, contact us for your custom jewelry request.